We go to Mecca on the Hajj. The holy pilgrimage ground is being remade. Every Muslim who can do it is called on, in the course of life, to make the Hajj – the holy pilgrimage to Mecca. Millions and millions do. It’s a big deal, spiritually and logistically. Even physically, pilgrim by pilgrim, with plenty of hot walking in the desert. Non-Muslims are forbidden from the holy city. We all see the images, of vast crowds circling in the Grand Mosque. But there is much more going on in the pilgrimage and in Mecca than photos often show. Skyscrapers. Rebuilding. 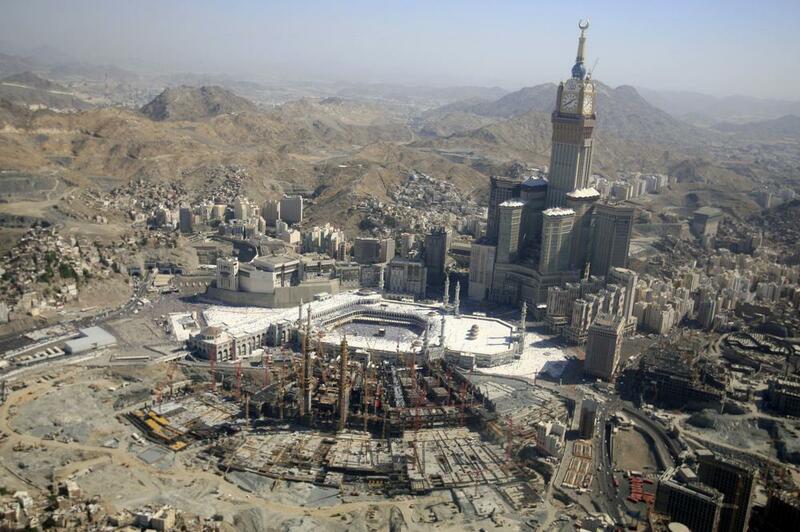 This hour, On Point: We go inside the hajj and look at Mecca, where the pilgrimage ground is being remade. Basharat Peer, a journalist and author, his latest article in the New Yorker on modern Mecca and the hajj is here. The British Museum has an online presentation of its hajj exhibit here. There's also a great photo gallery here of the hajj. The New Yorker "The hajj pilgrimage, which draws between two million and three million people every year, has become a modern spectacle: it has been described by a Saudi Arabian Minister of Hajj as resembling “twenty Super Bowls in one stadium, when two million will come, and ... these two million people will actually be taking part in playing the game.” The hajj is one of the pillars of Islam—every Muslim adult who can afford it is obliged to travel to Mecca for the hajj once, and non-Muslims are forbidden to enter the city." This program aired on April 30, 2012.